They represent more than a hundred years of quality and innovation. 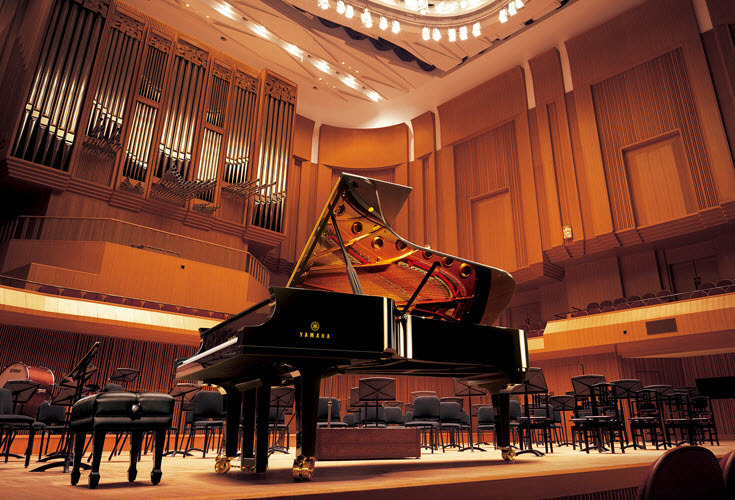 The distinctive sound of Yamaha pianos can be heard today in concert halls, recording and rehearsal studios, places of worship, and educational institutions of every level. But this success was far from sudden; in fact, it’s been more than a hundred years in the making. Here’s a brief history that shows how one man’s dream to craft the world’s finest concert grand pianos became a reality, thanks to the efforts of a century’s worth of skilled craftsmen and musicians. The first piano to be made in Japan was an upright built in 1900 by Torakusu Yamaha, founder of Nippon Gakki Co., Ltd. — later renamed Yamaha Corporation. Just two years later, the Nippon Gakki factory resonated with the tones of its first grand piano. During this early period, the company focused on manufacturing instruments for the Japanese market, where interest in Western classical music was still relatively new. Even so, Torakusu did send one of his pianos to the 1904 St. Louis World’s Fair, where it received an Honorary Grand Prize. By the 1920s, Yamaha craftsmen were regularly traveling overseas to gain knowledge of the latest European piano production techniques. In 1926, the company invited Ale Schlegel, an expert piano technician from Germany, to visit with the craftsmen at the Nippon Gakki facilities in Hamamatsu, Japan and discuss piano making in exhaustive detail. Schlegel’s advice yielded a much improved product. Before long, well-known European pianists were taking favorable note of Yamaha instruments, among them Arthur Rubinstein and Leo Sirota. In 1950, Yamaha released the FC concert grand piano to great acclaim. Spurred on by that model’s success, the company built one new facility after another in its continuing quest to make an even better piano. 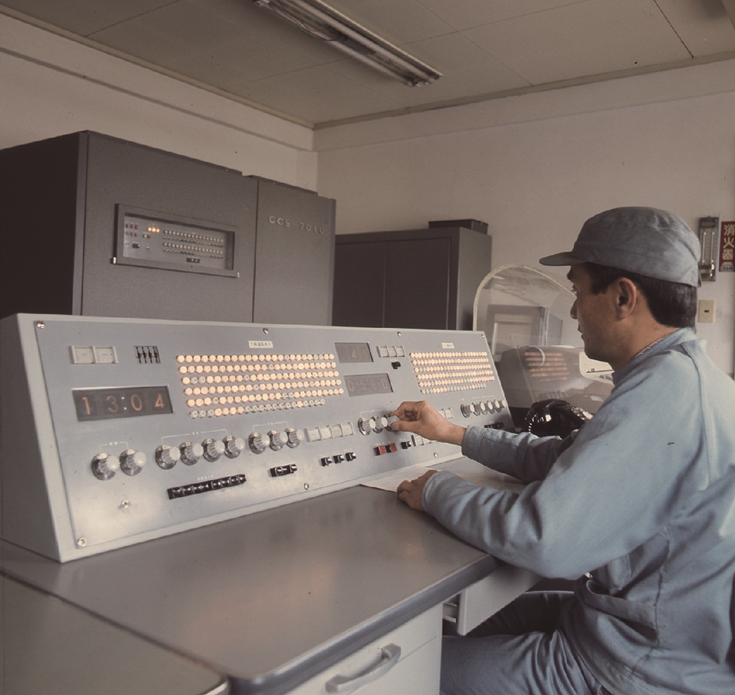 In 1956, the company completed work on Japan’s first computer-controlled artificial drying room, where the moisture content of wood — a vital factor for any piano — is adjusted to the optimum level after the natural drying process is complete. In 1958, Yamaha set up a grand piano assembly line at its Hamamatsu headquarters. Computer-controlled wood drying in the Yamaha factory. At the start of the 1960s, Yamaha made a major move, creating a new company in the U.S.A. to import and distribute its pianos: Yamaha International Corporation. By 1965, Yamaha was producing more pianos than any other manufacturer. The CF, along with the simultaneously introduced C3 grand piano, took the world by storm — with a little help from an all-time great. Sviatoslav Richter’s first encounter with a CF occurred at a January 1969 concert in Padua, Italy. The Russian maestro chose to play one again later that year at the Menton Music Festival in France, after testing several pianos from different manufacturers during rehearsal. Richter played (and praised) Yamaha pianos from that point forward, marking the beginning of a relationship with the company that would last for the rest of his life. During Sviatoslav Richter’s first Japanese tour in 1970, he performed at the Osaka World’s Fair on a CF bearing the serial number 1000000 — the one-millionth piano manufactured by Yamaha. One by one, European music festivals adopted the CF as their official piano, including the Antibes, Saint Tropez and Menton Festivals in France. Samson Francois, Tamás Vásáry, Byron Janis, Lívia Rév, Alexis Weissenberg and Georges Cziffra were among the many pianists who favored the CF, as its fame around the world continued to spread. Another legendary pianist was drawn to Yamaha in 1980. Glenn Gould purchased two CFs that year and used them on the final three albums he made before his tragically early death in 1982 at the age of 50, including his second reading of J.S. Bach’s Goldberg Variations, now regarded as an all-time classic. With new concert halls springing up all over Japan at that time, Yamaha craftsmen were inspired to develop a concert grand piano for a new generation. Building on the CF’s successes, they again went to work developing a series of prototypes, each of which was evaluated by top pianists. Krystian Zimerman was so pleased with his that he took it with him on a European tour. After further improvements, Yamaha craftsmen unveiled the CFIII in 1983. It was an instant hit, designated as the official piano of East Germany’s International Johann Sebastian Bach Competition, Poland’s International Chopin Piano Competition and the Soviet Union’s International Tchaikovsky Competition. Yamaha also created a new kind of piano in the 1980s with the Disklavier, which made its American debut in 1987 (an earlier model called Piano Player was introduced in Japan in 1982). Originally designed as an acoustic piano outfitted with electronic controls for recording and playback, it has been updated and refined as technology has evolved in the decades since. 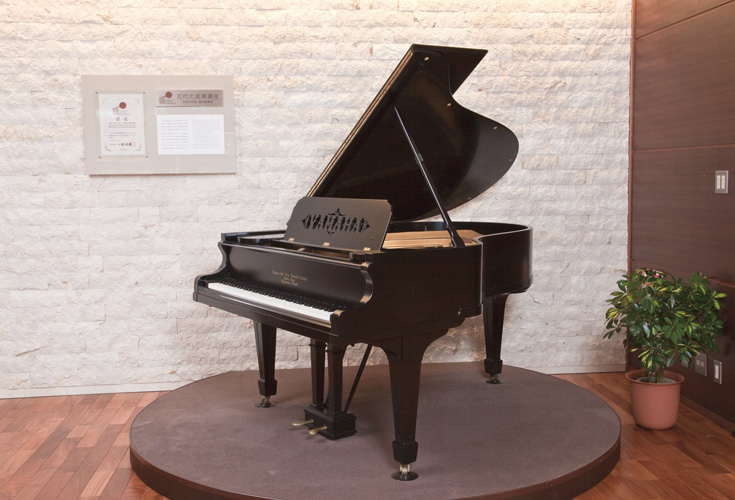 In 1991, Yamaha reached the impressive manufacturing milestone of five million pianos. The company also introduced the successor to its CF and CFIII concert grand pianos: the CFIIIS, which underwent two further upgrades in 1996 and 2000. At the Moscow Conservatory in July 1998, a young Russian pianist named Denis Matsuev took the International Tchaikovsky Piano Competition’s top prize performing on a CFIIIS. The Japanese music world celebrated in 2002 when Ayako Uehara won the 12th International Tchaikovsky Competition. She was both the first Japanese winner and the first female winner in the contest’s history — and she did it on a Yamaha CFIIIS. A decade that marked the 100th anniversary of Yamaha’s piano production also saw the CFIIIS become the official piano of more than 20 major international competitions. After 19 years of research and development, the Yamaha CF Series concert grand piano, successor to the CFIII, made its debut in May 2010. Later that year, the winners of both the National (U.S.) and International Chopin Piano Competitions made history playing a CFX piano. In 2016, Yamaha celebrated the Disklavier’s 30th anniversary by releasing its seventh iteration, the ENSPIRE. That same year, Yamaha received a prestigious “Top 100 Global Innovator” award from Thomson Reuters for the third consecutive year. 2017 saw the launch of the SX Series, a premium grand piano line that incorporates A.R.E., the wood-reforming process used in top product lines of other Yamaha divisions. What will come next? If the past hundred-plus years are anything to go by, you can be certain that Yamaha will continue to make pianos of the highest quality for a long time to come. Click here for more information about Yamaha pianos. 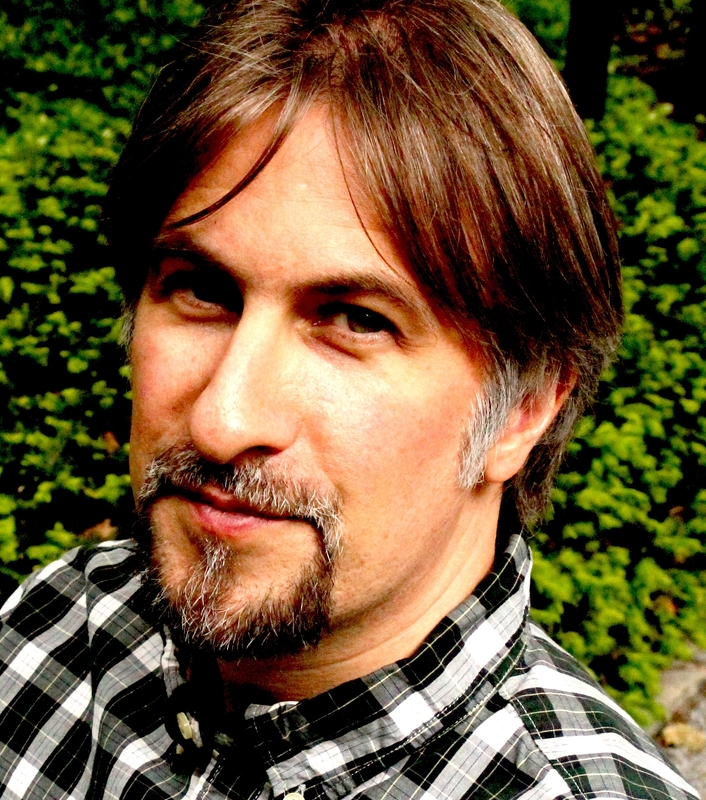 Mac Randall, editor of JazzTimes magazine, has been writing about music and related subjects for more than two decades. His writing has appeared in The New York Times, Rolling Stone, Musician, The New York Observer, Guitar Aficionado, Billboard, Acoustic Guitar, Mojo, and many other publications. Mac is also a guitarist and composer, as well as the author of the book "Exit Music: The Radiohead Story" and the e-book "101 Great Playlists: Songs for Every Listener." He lives in New York City.